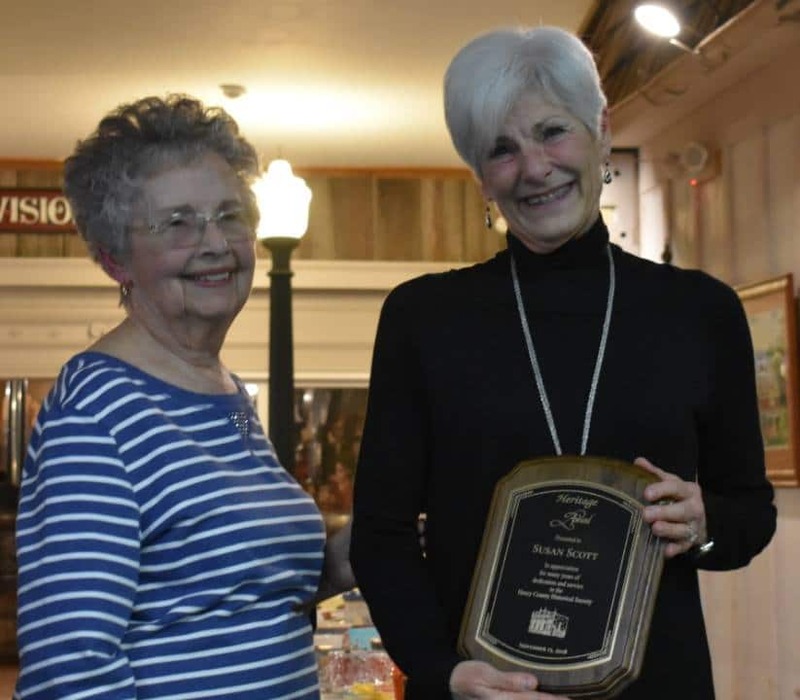 Susan Scott and Tom Colwell were named the recipients of the 2018 Heritage Award at the Henry County Historical Society Annual Meeting and Harvest Dinner. They are long-time volunteers at the Museum. The awards were presented by the 2017 Heritage Award recipients Brenda & Tom Dehn and Bonnie Smith. 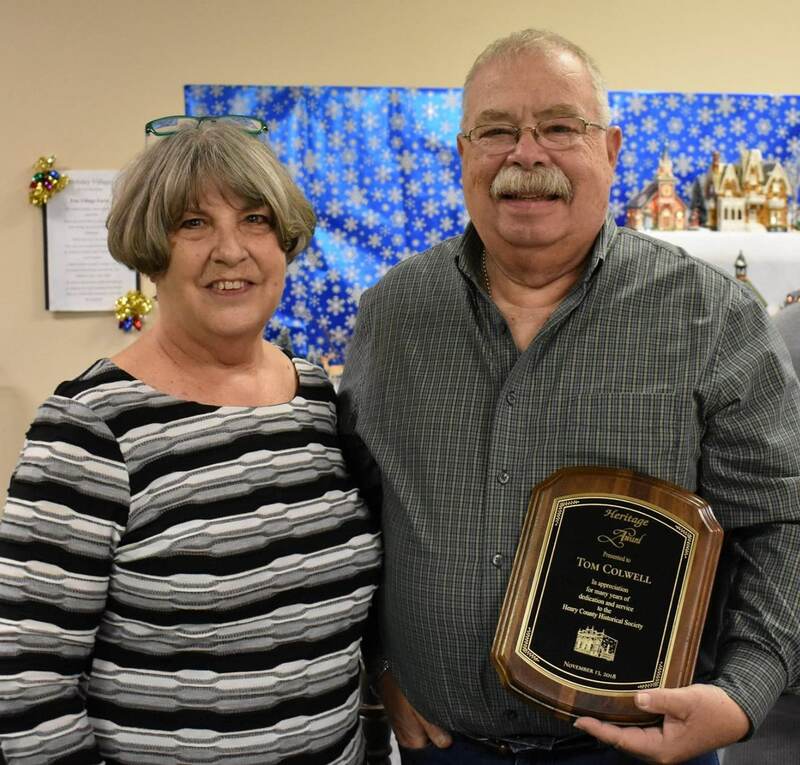 Congratulations to Tom and Susan and thank you both for your dedication to the Henry County Historical Society!